This alternative city guide brings together artists, novelists, academics and other creatives... Suggested retail price: HKD$150, discount price: HKD$130 (when purchased at our centre). Follow artists, writers, architects and former residents of a 130-year-old bungalow to explore the world between man and nature. Free admission to the exhibition on 01.02.19 (Fri) - 09.06.19 (Sun). 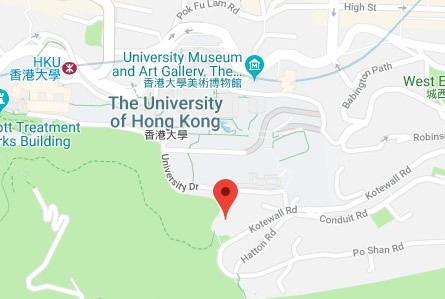 On the edge of campus just 15 minutes away from the HKU MTR station, our centre is a place to learn more about the environment around us before visiting Lung Fu Shan and the Peak. We are open Tuesday to Sunday. Click to plan your visit! Our centre is situated in three Grade 1 and 2 Historic Buildings constructed over a hundred years ago as an extension to the Pokfulam Reservoir system. Revitalized in 2008, these buildings now serve as a home to learn about our environment. Click to find out more! This page provides the best information for you to visit Lung Fu Shan by yourself. Interested in the environment and sustainability? Join us by becoming a Lung Fu Shan Education Ambassador or a Lung Fu Shan Leader! Vision: A community that lives sustainably and harmoniously with nature. Mission: To conserve nature through education rooted in partnership with the university, government and wider community. Jointly established in 2008 by the Environmental Protection Department and The University of Hong Kong, our historically revitalized Centre supports nature exploration through exhibitions, ecological tours and green workshops. Our centre is managed by a team of passionate individuals from diverse backgrounds who are all devoted to promoting environmental awareness and appreciation. The centre will be closed if typhoon signal No.3 or above, red or black rainstorm warning, or landslip warning is hoisted / issued.